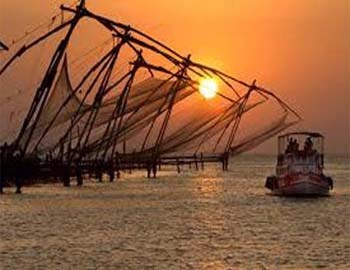 The Chinese fishing nets form one of the prime attractions in Fort Kochi which is a jewel in the crown of Kerala with its European heritage and true cosmopolitan temperament. A leisurely walk through its streets is one of the best ways to discover all that the town has to offer. A municipal town from 1866 to 1967, Fort Kochi now is one of the three main urban components that constitute the present day city of Kochi, the other two being Mattancherry and Ernakulam. Regarding the origin of its name, the most accepted theory is that the name derives from ‘kochaazhi’ which, in Malayalam, means ‘small lagoon’. Mattancherry is the nerve town of old historic Cochin. The name Cochin can also be said to be derived from "co-chin", meaning "like-china". As per history records, it looked like China when the Chinese came to the region during the 14th century and erected the wonderful Chinese nets. Fort Cochin was a fishing village of no significance in the erstwhile Kochi kingdom of pre-colonial Kerala. The nomenclature of the fishing nets suggests that they originate from China. It was said to be introduced by the Chinese explorer Zheng He. The Chinese fishing nets in the then Cochin harbour were believed to have been set up between 1350 to 1450. The beaches of Cochin are beautifully lined with these nets. These fishing nets also abound in the Vasco-da-Gama Square near Fort Kochi. They can be seen in and around Bastion Bungalow, Santa Cruz Basilica and the VOC Gate as well. Sadly enough, these unique nets are becoming a rarity these days, as fisher folk have resorted to more advanced techniques of fishing. The technique of fishing by Chinese fishing nets differs from the technique of ordinary fishing nets. While fishing by Chinese fishing nets, the nets are submerged into the sea, kept for a few minutes and raised delicately at a time by six fishermen. All of these six fishermen must maintain the balance while lifting the net out of water. The Chinese fishing nets found along Cochin harbor have multiple usage. They do form the main fishing accessory in these parts, but besides this, they also form a major tourist attraction here. The water body covered with the Chinese fishing net silhouetted against a sunsetting background makes for viewing pleasure to the tourists. From Vypeen to Fort Kochi, the entire stretch is covered with these nets. These shore-operated lift nets form an unusual form of fishing in this area. These huge mechanical contrivances hold out horizontal nets of 20 m or more across. Each structure is at least 10 m high and comprises a cantilever with an outstretched net suspended over the sea and large stones suspended from ropes as counterweights at the other end. Each installation is operated by a team of up to six fishermen who engage in the act of heave-ho, singing “Hylasa! Hylasa!” in chorus. The system is sufficiently balanced that the weight of a man walking along the main beam is sufficient to cause the net to descend into the sea. The net is left for a short time, possibly just a few minutes, before it is raised by pulling on ropes. The catch is usually modest: a few fish and crustaceans — these may be sold to passers by within minutes. The system of counterweights is most ingenious. Rocks, each 30 cm or so in diameter are suspended from ropes of different lengths. As the net is raised, some of the rocks one-by-one come to rest on a platform thereby keeping everything in balance. Each installation has a limited operating depth. Consequently, an individual net cannot be continually operated in tidal waters. Different installations will be operated depending on the state of the tide. The Chinese fishing nets have become a very popular tourist attraction - their size and elegant construction is a photographer’s delight, while the slow rhythm of their operation feels quite hypnotic to watch. In addition, catches can be purchased individually and need be taken only a short distance to a street entrepreneur who will cook it. The Chinese net forms the city's most prominent landmark and is a cluster of giant, cantilevered wooden-frame contraptions that local fishermen manually dipped into the green-gray backwaters that crisscross the city, to catch fish. The wooden frames of the nets can be heard creaking as they are lowered and raised. There’s an old plaque in Cochin harbour that bears testimony to the antiquity of the nets. In the 14th and 15th centuries, Calicut and Cochin were the main centrepots of Asian commerce. Cochin had the monopoly on pepper, a commodity deemed so valuable that it was nicknamed ‘black gold.’ Traders, envoys and travelers came to these cities—from Venice and Constantinople, Alexandria and Arabia, Java and China—to buy and sell goods, to pay their respects to the powerful local kings or just to gawk at the grand palaces, avenues and bazaars. Of the three ports Zheng He visited, only Cochin still has a harbor of any significance, complete with a modern shipyard and naval base. 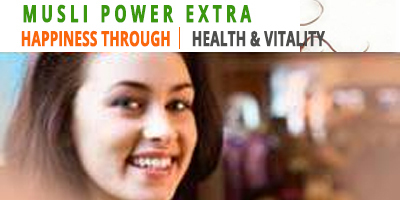 It is still an export center, sending spices and coconut-fiber carpets around the world. In recent years, after a gap of centuries, Cochin has begun once again to attract foreigners—not traders, but tourists in the wake of the recent development of Aquatourism. 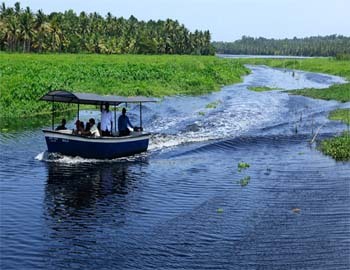 These days Kerala's lush green countryside, its exotic spice plantations and stunningly beautiful backwaters are drawing visitors from Europe and the United States who use Cochin as their base for their vacation trips to Kerala.